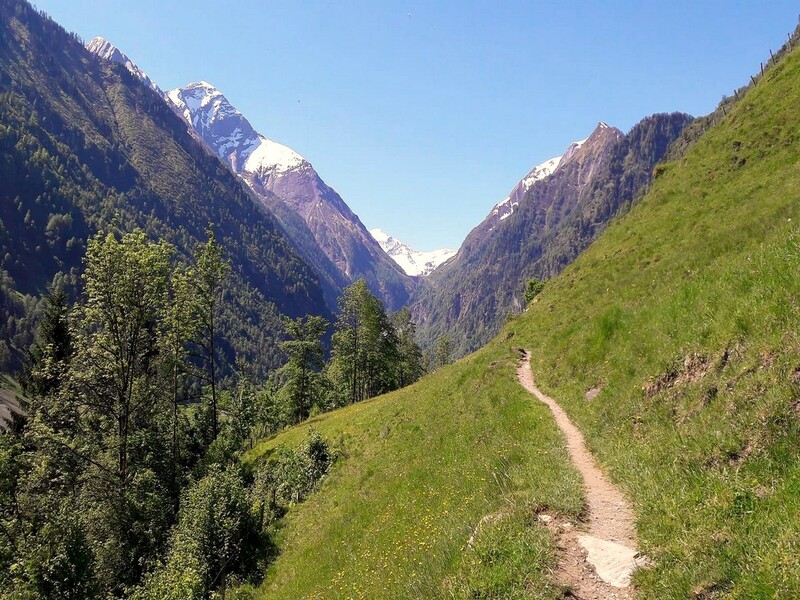 The Klammsee and Schneckenreith hike is a nice, family-friendly hike. Bring the family on this small hike up to Schneckenreith. There is enough that it is an adventure, but not exhausting for small legs. 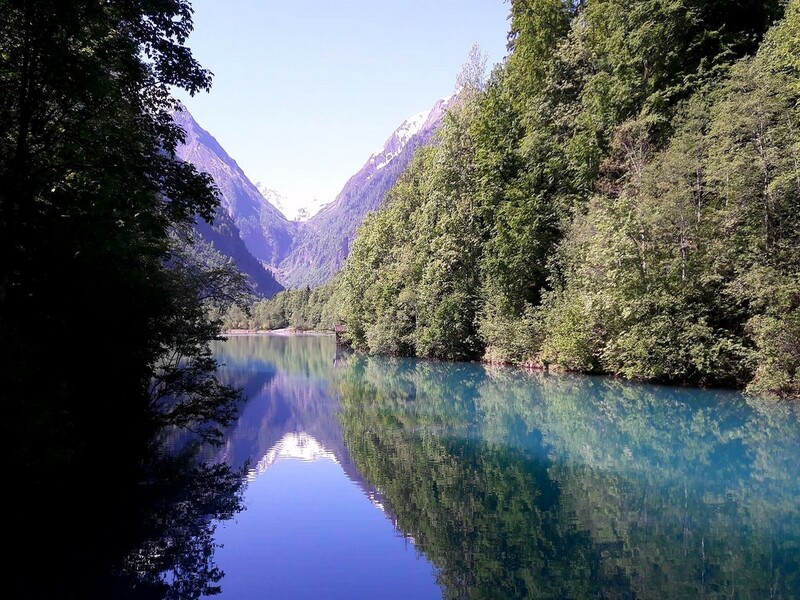 Enjoy the view down on the emerald green Klammsee from the mountain farm Schneckenreith, or stick your feet in the cold water while having a picnic! 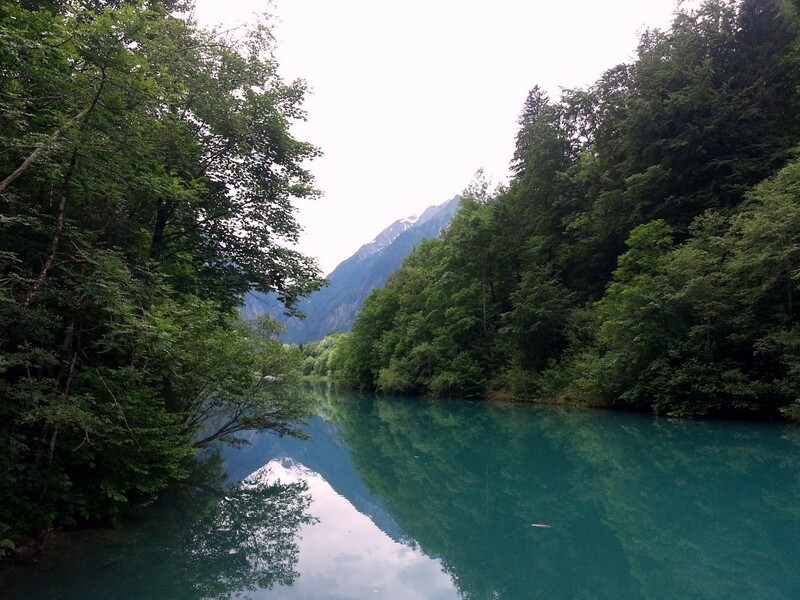 Travel to Kaprun, drive past the town and park your car at the entrance of the Sigmund-Thun-Klamm (Sigmund-Thun gorge). If you travel by bus from Mittersill or Zell am See, stay on the 660 and go past the village center. There is a bus stop at the Sigmund-Thun Klamm parking area. The starting point of the tour is at the big parking area, right next to the Sigmund-Thun Klamm. Walk a bit downhill, until you see a big stone and wood storage house. On the left-hand side of the house, a road goes into the forest. Take this road. Directly behind the storage house, a residential house is situated. A local artist is resident to the house and you can see his craftsmanship by viewing the sculptures in his garden. The main material used is granite and the artist has a love for numbers. If you encounter the artist himself, have a chat with him and he will explain that his numbers are not always “just numbers”…! Continue on the road, which will turn left and then make a U-turn back. When the road straightens out again, you will come across a road barrier. Pass this road barrier and right after you will find yourself on a bridge. The bridge crosses the Sigmund-Thun Klamm, which lies below you. Have a look down and view the stunning gorge, carved out by the glacier water in the past centuries! The road has now become a comfortable walking track for you to continue on your way. Straight away there will be a Y-junction. Take the right fork and continue on the walking track. 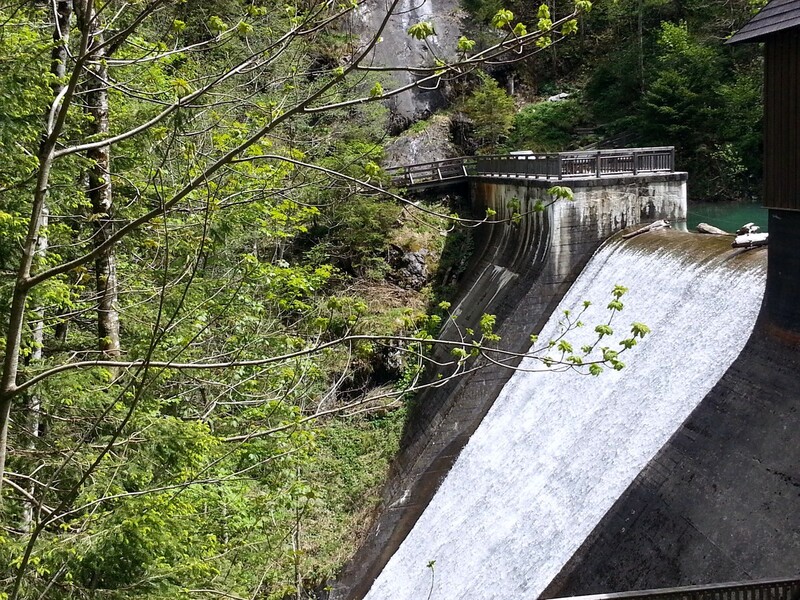 After a while, you will encounter a viewing point on the left-hand side, next to the one of the Klammsee’s dams. Have a short break to take photos and enjoy the view. Continue, but only for a few meters, since on the right a forest track goes up the hill. A wooden sign will inform you that this trail leads to “Schneckenreith“. Take the trail and start to walk up. Look out for forest strawberries and let the kids enjoy this adventurous trail. 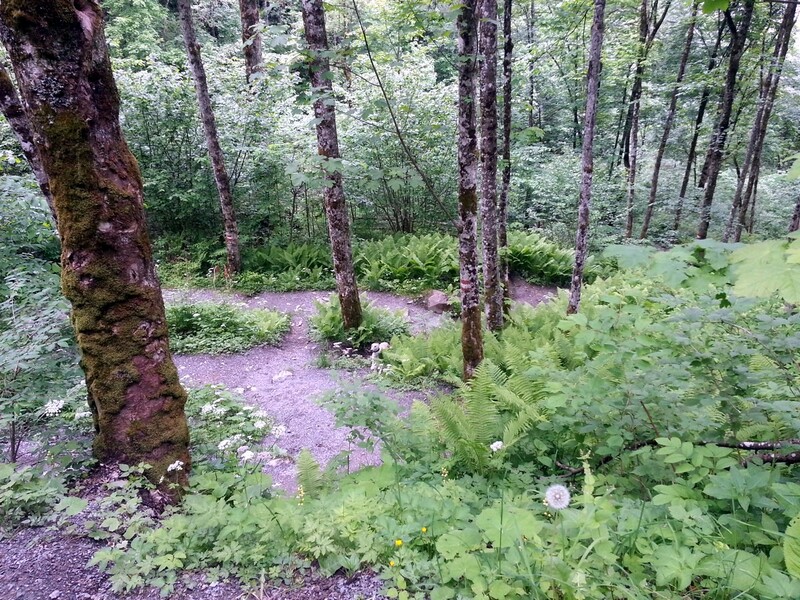 They will encounter a variety of plants, cross two small streams, after which the trail ends up in one of the meadows of the farm. Follow the track through the meadow, until you reach the Schneckenreith farm. Go through the little wooden passage door, and turn right to end up on their terrace. This traditional Austrian farm offers some of the best homemade products to drink and eat. For a snack try a glass of fresh, cold buttermilk with a piece of home baked cake. Or if you are up for a very nice lunch order a Jausern’ platte and taste their great cheese and bacon. After you and your family have re-energized, say goodbye to the farmer’s wife and head down the normal road which starts at the farm. Follow the road for 2 serpentine turns and then down into the valley. Follow it until you end up at the bottom, in front of the Jetzbach bridge. Turn left in front of the bridge, onto a forest road. 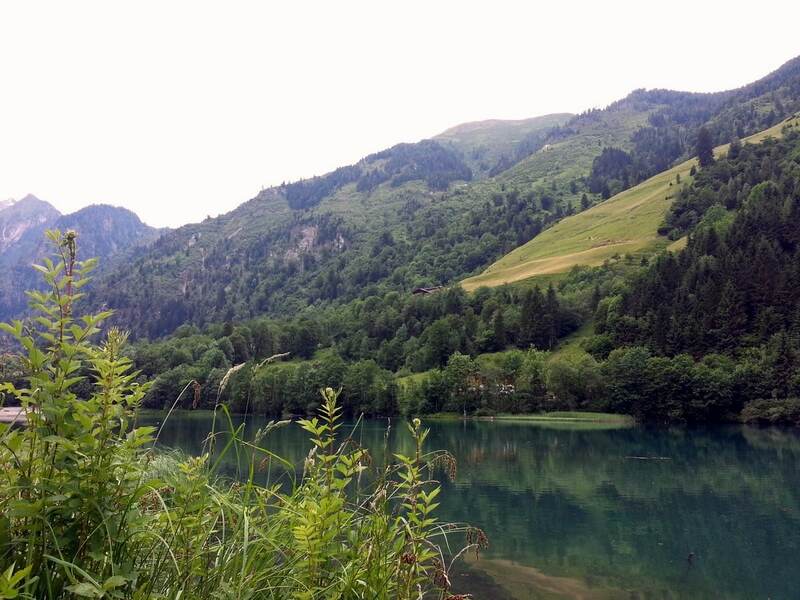 The road will bring you back to the Klammsee, which you have seen from the terrace at the mountain farm. Now enjoy a nice walk next to the water. The small “Seestüberl” offers the possibility to buy an ice cream, while the kids enjoy the playground or dip their feet in the water. Continue on the forest road, passing beautiful lake scenery. The nature around the lake is unique and several special amphibious species are home to this habitat. The forest road will bring you back to your start point again. Here you can take your car, or the bus, back to Kaprun. 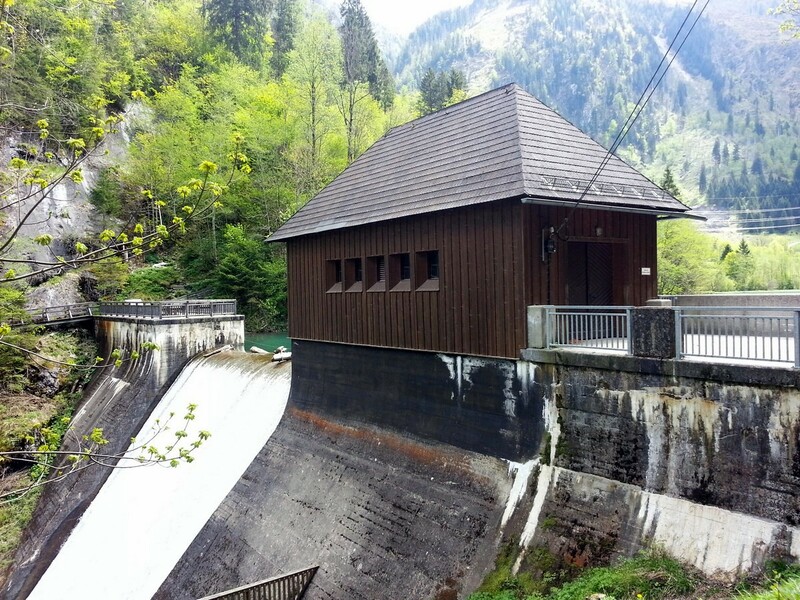 You can extend your visit by including a visit to the Sigmund-Thun Klamm. Instead of walking onto the road next to the storage house, walk down a little further and follow the signs for ‘Entrance’. Enjoy the stunning gorge, and after you exit it, simply go right and up the stairs. You will find yourself on our hiking route, close to the right-hand turn into the forest track which leads to Schneckenreith. 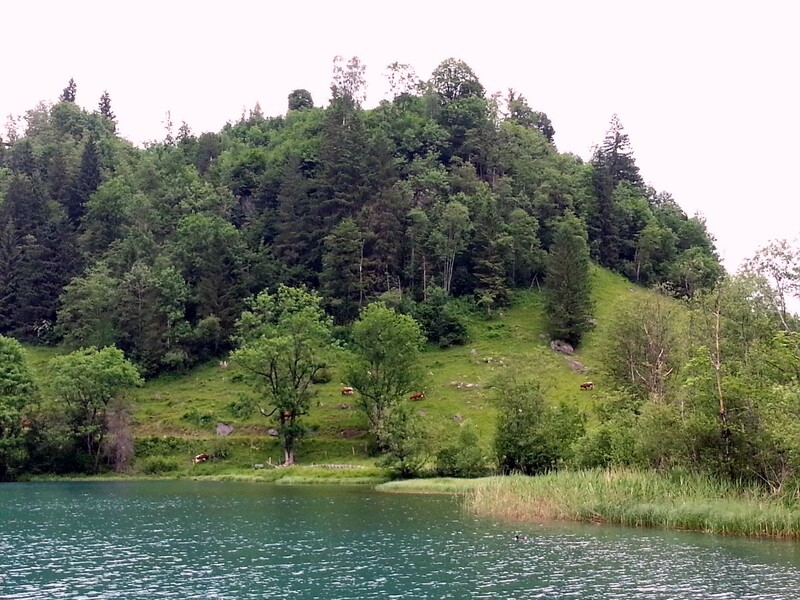 Please be careful: do not swim in the Klammsee. It is a reservoir lake and that means underwater streams can be very strong and dangerous! 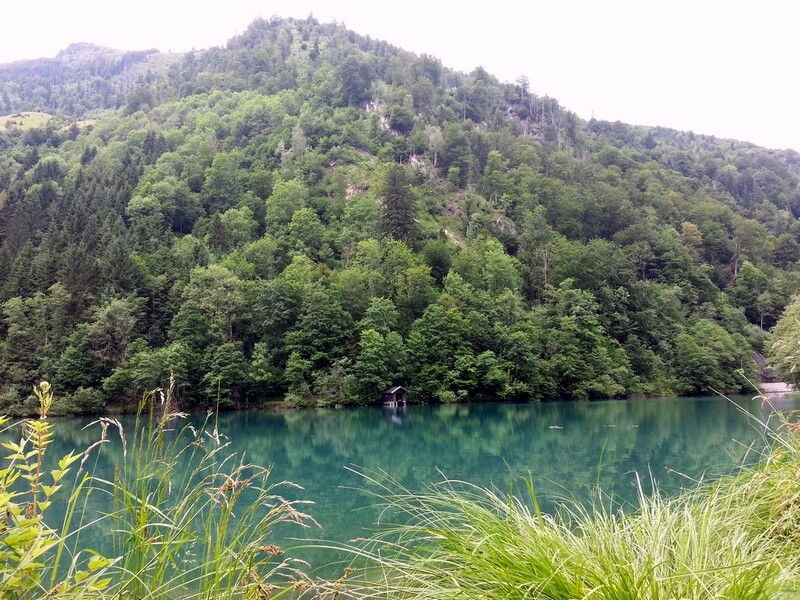 If you are more of a "do-it-yourself" person, the area around the Klammsee is also perfect for a family picnic. Pack your picnic bag and situate yourself in the area of the "Seestüberl". Here the kids have loads of playgrounds, and toilets and ice creams are nearby!